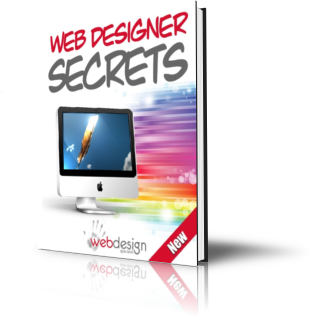 Hi and welcome to the second last post relating to my eBook “Web Designer Secrets” – you can download a copy free by clicking on the image to the right. How to Use Social Networks for Traffic. So far I have I have covered using SEO services and other Internet marketing methods to get traffic to your site. I also examined blogging. Another potentially good source is social networking. Currently facebook and twitter seem to be the main ones, but there are many others social network and bookmarking sites around. These might not work for everyone but as a source of cheap traffic they are certainly worth looking at. I must admit that until recently I have ignored these social networks. It seemed to me they were nothing but mindless chatter. I wasn’t really at all interested what someone I don’t know had for breakfast. Or what their favorite TV is. However I have kept one eye on them since they do have a huge number of users. This means a great marketing opportunity is there to be tapped into – somehow. And sure enough as these networks have matured there has emerged more effective ways of using them. Plus some very interesting changes …. 1. Recent announcements from google that they plan to introduce feeds from twitter into search results. And from bing that they plan to introduce feeds from both twitter and facebook in their search results. 3. And finally the anticipated change in 2010 when bing starts providing yahoo search results (if it ever happens). See point 1 above to understand why this is relevant. So a few months ago I set about getting an active profile in these two networks (twitter and facebook) and a few others as well. So far the results have been good. Very good. Infact so far the sign up rate for my free eBook is highest with traffic from twitter than any other source. Whether that translates into more prospects is yet to be seen. But the cost per acquisition is certainly very low. 2. Post and provide useful / free data which will appeal to my target audience. Keep the focus on filling a need. 3. These teaser posts lead the person to my blog or website where I provide the data promised and ask them to sign up for my newsletter. Notice- no hardsell! 4. I also offer my free eBook to anyone who follows me on twitter. So you see I use my blog and eBook as a filter to build a marketing list of prospects. Now the goal driven people reading this might thing it sounds a bit vague and hard to quantify. No exact ROI and cost per conversion. Which is why I don’t spend a great deal of my time on social networking activities. I have automated some of it and keep the focus clear and simple. I avoid (usually) getting involved in the many otehr interesing distractions these networks can offer. And as my experience and results grow I can refine my posts and offers further. 1. Minimally set up a facebook page and a facebook fan page. You can feed it the RSS from your blog to keep is fresh if you don’t think you’ll have time to grow it. 2. Set up a twitter account and maybe have a set of 40 or so key tweets you’d like to send out which relate to something on your site or blog. There are many free automated tools that let you do that. Use my strategy detailed above as a guide if you like. 4. Until you can see solid returns only allocate an hour or so each week to this kind of marketing. And if you just don’t have the time or need some help to do all this consider outsourcing it, ie contact me!